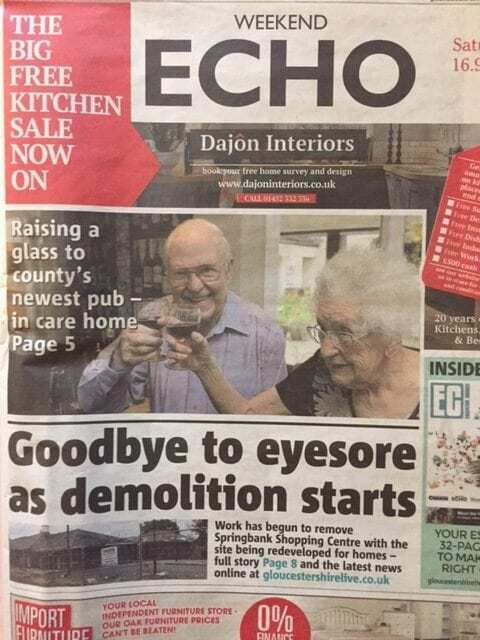 It was with more than a little sadness we heard on Wednesday of the decision to stop publishing The Gloucestershire Echo and Gloucester Citizen as daily newspapers and instead to publish them as a weekly paper. Now to put this into context I am of a generation that I still recall as a child rushing down to the Post Office in Churchdown to buy my copy of the now long gone “Pink Un” to catch that day’s football results. So to me at least this does feel like something of an end of an era. The decision will not have come as a huge surprise to many. In many areas, local newspapers have had to make this switch quite a number of years ago. Indeed it is testament to the quality of the Echo and Citizen product that they have been able to last as long as they have. So what has led to this decision? The single biggest factor has been the explosion of mobile devices and use of social media and consumption of news through this channel. There is a touch of irony that the success of www.gloucestershirelive.co.uk and @GlosLiveOnline with its 18.1k followers will have hastened this move. I cannot have been the only person receiving it through my letterbox, to feel that I have pretty much read all the stories by the time I get my copy. The papers home delivery service will also cease at the same time. I would like to pay homage though to the way the announcement was made which seemed pretty much a textbook case of a well co-ordinated exercise of this nature, that focussed strongly on the positives as the Group saw them. The decline is circulation of newspapers has seen a corresponding fall in revenues. Whilst this has been compensated to some extent by diversification into digital offerings, it hasn’t fully. Research by Enders Analysis, the media research firm has shown that for every £154 in print revenue lost, newspapers only gained £5 on the digital side. The same research organisation predicts that from the heady heights of 2011 national newspaper advertising revenues will fall from £1.5 billion to £533 million by 2019. It is not just a decline in readers though that has prompted advertisers to move their advertising spend. For some years now businesses have been increasingly wanting to be able to prove the worth of every pound of marketing spend (often referred to as Return on Investment). Digital forms of marketing have a huge advantage in this regard and are not reliant on the human error involved in tracking offline marketing. Thanks to tools like Google Analytics and goal setting, firms can measure the number of people driven to their website by online activity, the extent of engagement with the site and actions taken. So when is this all happening and what will the new product look like? The last daily editions of The Gloucestershire Echo and Gloucester Citizen will come out on Saturday 7th October. Probably a good one to advertise in as the circulation is likely to be much higher than normal as people buy the last copy for posterity. The edition is also likely to be kept by some and is bound to find its way into time capsules all over the county. The first weekly edition of both papers is due to come out on Thursday 12th October. Predicted print runs of each of the new weeklies are a minimum of 12,500 each for The Citizen and the Gloucestershire Echo (this compares with 7,000 each day for the Citizen and just under 7,000 for the Echo). The combined readership is predicted to be 31,000. The new weekly papers will have 86 pages, plus a 64 page Property Supplement, 20 page Motors section and a Business Section. There will also continue to be a GL Weekend Magazine of some 64 pages. The weekly will adopt a campaigning and community stance, as key daily news will be featured on www.gloucestershirelive.co.uk . Early indications are that the increased print run and anticipated increase in readership will lead to price increases compared with those currently paid for the same size advert in each title. How will businesses react to this? It remains to be seen, but some will undoubtedly adopt a “wait and see approach” to see how the titles perform against predictions. Certain day of the week sensitive ads may go elsewhere and for certain crowded categories the fact that their adverts are guaranteed to clash with those of their competitors will be less welcome. To coincide with the move to weekly, Trinity Mirror is looking to put more emphasis on its own digital marketing product range and the group are holding two breakfast events in the county this week. This will not be easy though, as this market is already relatively crowded with a wide range of providers. 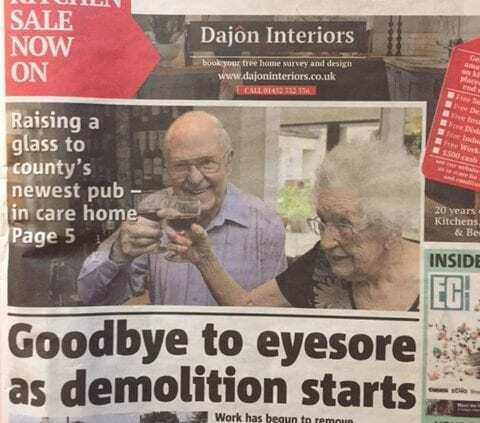 We wish Trinity Mirror all the best with the new weekly titles, as we consider press still to have a part to play in many firms marketing calendars, albeit a reduced part. Hopefully whilst this is the end of one era, it will be the beginning of another. Research shows that the average person sees 5,000 advertising messages a day (compared with 2,000 a day 30 years ago). If you need help with deciding where your marketing should go, then speak to us.